Bollywood celebrities including Amitabh Bachchan, Priyanka Chopra, Karan Johar and Akshay Kumar paid emotional tributes to the veteran movie and theatre actress Reema Lagoo, who died here early on Thursday following a cardiac arrest. The 59-year-old artist breathed her last at the Kokilaben Dhirubhai Ambani Hospital in Andheri west, where she was rushed shortly after midnight. The actor was famous for playing mother's roles in both movies and television. Her most popular movies were 'Hum Aapke Hain Koun..! ', 'Hum Saath Saath Hain', 'Maine Pyar Kiya' and 'Kal Ho Na Ho'. Amitabh Bachchan: Just heard the shocking and unbelievable news about Reema Lagoo's passing. Such a fine talent and gone so young! Very sad! Priyanka Chopra: RIP Reema Lagoo such a loss to art and cinema. You are and will always be our favourite screen mom. My condolences to the family. Akshay Kumar: Saddened to hear about the demise of Reema Lagoo, had the opportunity to work with her... A fine actress and person. Prayers to the family. Karan Johar: This is truly sad news...she was warm, gracious and an exceptional actor...I had the privilege of directing her...RIP Reema Lagoo. Ashutosh Gowariker: A sad sad day for all three mediums of theatre, film and TV. 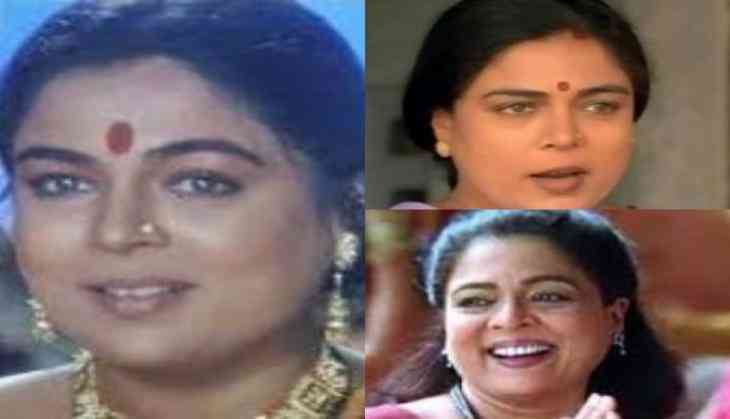 Reema Lagoo ji was a wonderful person and a truly versatile actress!! Will miss you! Farah Khan: So terribly sad to hear Reema Lagoo is no more.worked with her in so many songs n she was just the most loving soul..condolences to her family.